Thin sheet of extra tacky adhesive plastic effectively covers anything you might touch during a procedure. 4" x 6" perforated sheets. Takes only seconds to apply and remove. Will not leave any residue. Counterweighted for tabletop stability and effortless removal of films. 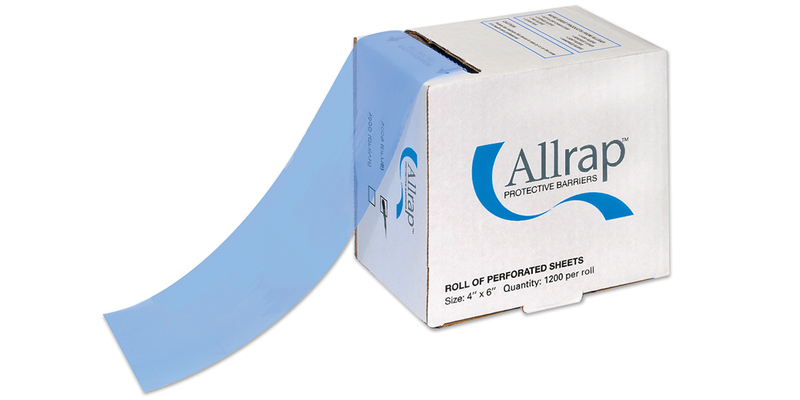 Dispenses all adhesive coverings up to 4" wide. White color.